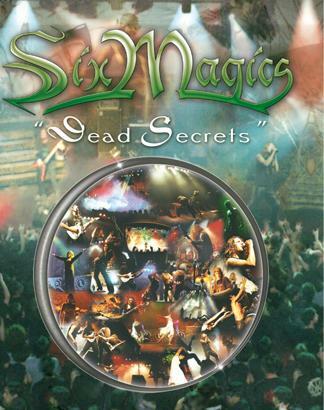 Six Magics is a chilean symphonic power metal band that was started around 1996 by five teenagers in Santiago de Chile. At that moment Six Magics was: Pablo Stagnaro (Drums), Erick Avila (Guitars), Nicolás Espinoza (Guitars), Juan Pablo Pizarro (Bass) and Sergio Villaroel (Vocals). The band played in many Chilean cities receiving great local support. In those days their songs were in spanish, but there was an intention to start writing lyrics in English. After a year Six Magics recorded “Trilogía de un Guerrero” (their first demo tape) which had good comments and acceptance in the scene. In 1998 Juan Pablo left the band and was replaced by Rodolfo Sanchez de Lozada. Also a second line-up arrangement was made in 1999, when Sergio Domínguez was chosen as the new singer. With this new -formation- plus Sebastián Carrasco on keyboards, Six Magics started writing their lyrics in English and got ready to record their first album. 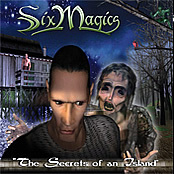 In January 2001, Six Magics returned to the recording studio. The lyrics portray stories between fantastic and epic scenarios, all of this through two great styles: baroque and classic. The new album is named: Dead Kings of the Unholy Valley and includes 11 tracks of symphonic metal with various musical structures. 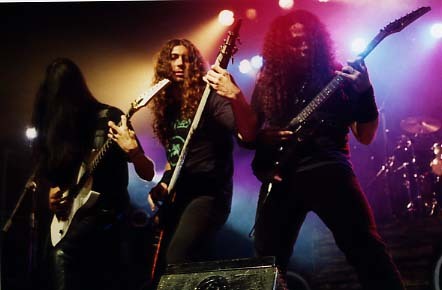 At the beginning of 2002, line up changes took place: Gabriel Hidalgo as the new guitar player (replacing Nicolás Espinoza) and Mauricio Nader in bass guitar. With the new alignment the band worked on an acoustic set list, which is presented twice. 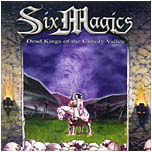 In July 2002 in the Centro de Eventos Laberinto the “Dead Kings of the Unholy valley” CD had its live release with an audience of about 700 people. In that same year the band signed a world-wide distribution contract with Underground Symphony. Also in October 2002 the band shot their first video clip. The chosen song was Prince of Pure light, from the “Dead Kings of the Unholy Valley” LP. The new album is called “The Secrets of an Island” and its official release date was november 1st. This concert took place en Teatro Providencia, the same place in which Six Magics had played before as the supporting band of bands like Nigtwish and Rhapsody . The theatre was full od metalheads. More than 1300 people assisted to the concert and it was evaluated by important sites as one of the best events seen in this land.